The scope of this report is broad and covers various types of products that have yet to be introduced into the synthetic (cultured) meat market. The global synthetic (cultured) meat market has been segmented by source into beef, poultry, pork, duck and others. The end uses segment covers meatballs, burgers, sausages, hot dogs, nuggets and other end uses. Revenue forecasts from 2022 to 2027 are given for each source and end uses with estimated values derived from the producer’s total revenues. The report also includes a discussion of major players across each region in the synthetic (cultured) meat market. Further, it explains the major drivers and regional dynamics of the global synthetic (cultured) meat market and the current trends within the industry. 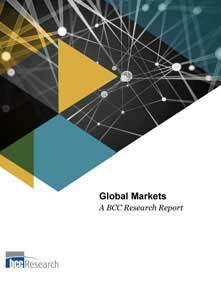 The report concludes with a special focus on the vendor landscape and includes profiles of the major vendors in the synthetic (cultured) meat market.